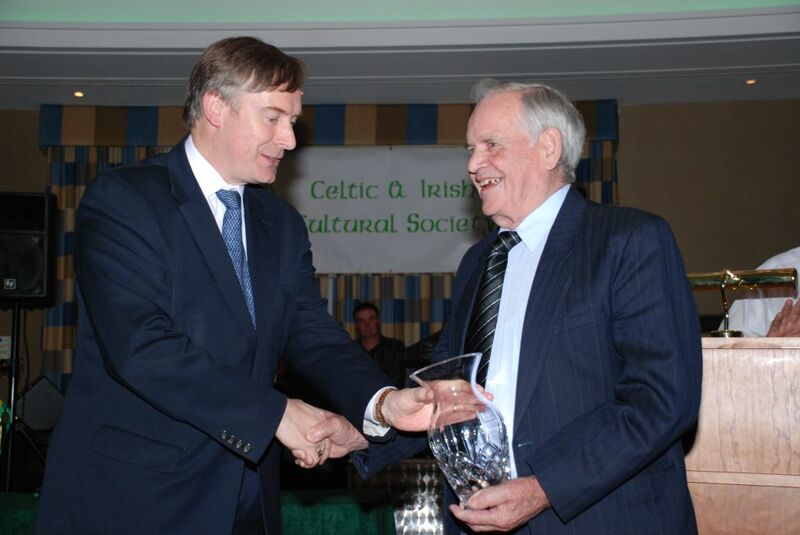 At its 13th Annual Dinner Dance at the Crowne Plaza Gatwick recently, The Celtic and Irish Cultural Society (CICS) were pleased to announce that Larry Owens, one of Crawley’s very popular characters, was the Crawley Irish Person of the Year for 2008. 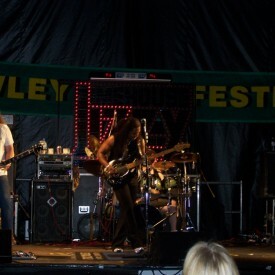 Photos from the 2008 Crawley Irish Festival. Courtesy of Tracey Herald. 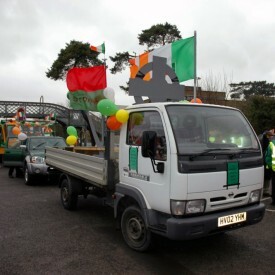 Photos and images from the 2008 Saint Patrick’s Parade, organised by the Celtic and Irish Cultural Society. 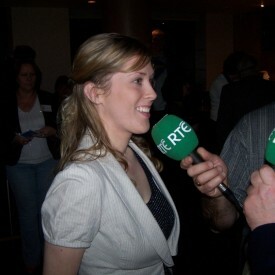 RTÉ came to Crawley to record “The Irish Experience” radio show, presented by Paschal Mooney. 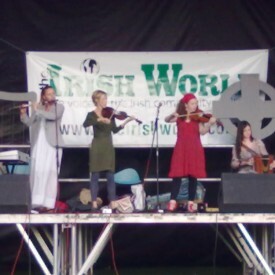 Music was provided by Brogue, Blackthorne, the Celtic Colleens with additional dancing from the O’Brien School of Irish Dancing. 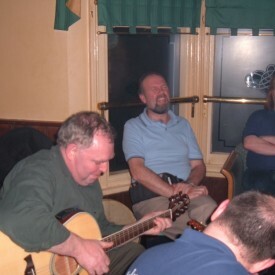 Photos from the 2006 Crawley Fleadh including images of the cookery evening, Ceili/Step Dancing, Irish karoke and GAA sports coaching. Many thanks to Tomas O’Dee, Wraggle Taggle, Frank Coughlan and the Nomadic Theatre Company. 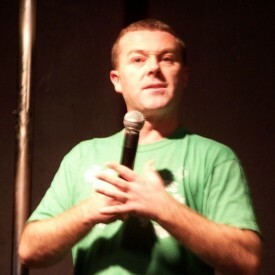 Photos from the opening night of the 2006 Crawley Fleadh. The week was launched by deputy mayor Chris Redmayne and Amanada Bane of the Irish Embassy. Music was provided by Sateen and Fairtrade with the Andromeda School of Irish Dance. 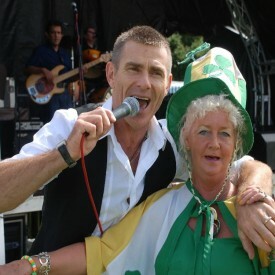 Photos from the Crawley Celtic Weekend: Celtic Rock in the Park and Crawley Irish Festival. The event took place on 26-27 August 2006. Sponsored by Cappagh Group. 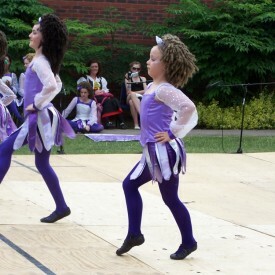 Photos from the Crawley Folk Festival where Irish dance groups regularly take part. The CICS has also managed stages at the event. New Ross & District Pipe Band and Dunbrody impromptu sessions in and around Crawley at The Clarion Hotel and at The Bedford, Horsham. Dunbrody and the New Ross Pipe Band were in Crawley over for the St Patrick’s Celtic Weave, sponsored by Coinford Construction. The photos were taken 10-12 March 2010.